You can go live anywhere from your mobile device, or you can host a live stream from your computer. Use this chart to help you see which format and setup would be best for you. Read specific instructions for each of the live stream options. Keep in mind that for both mobile and webcam, you can go live right away, or schedule a live stream for later. Going live now might be great for impromptu occasions, or breaking news, whereas a scheduled live stream allows you some time to prepare and promote. NEW: Try out the Live Control Room, which combines our desktop live streaming tools into a single destination. With a brand-new look and feel, you’ll focus less on the details and spend more time interacting with your fans. Learn more. 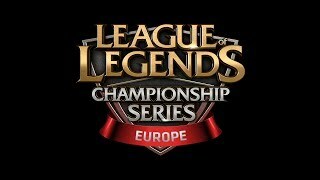 League of Legends posts full matches live during their biggest competitions. This has been a great way to bring in viewers for esports leagues and gaming publishers. 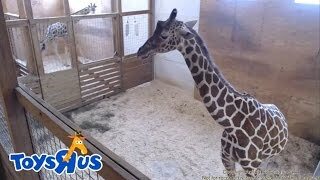 Animal Adventure, an educational animal park in New York, live streamed April the giraffe’s pregnancy and created a social media sensation with fans worldwide tuning in to check on her progress. Once you have the necessary equipment, test your audio and video quality using an unlisted live stream to make sure everything will sound and look good. Frame the shot. Keep your frame interesting by moving around (if appropriate for the shoot). Use a tripod, selfie stick, or accessories to avoid camera shake and be careful not to block the lens with your hands. Test and optimize the audio. Find a quiet location and watch out for wind, traffic, appliances, and other background noises that can interfere with sound quality. Adding the right microphone can improve your audio. Check the signal and test Internet speed.. The best quality streams come with a strong WiFi signal. For live streaming from a computer, it’s recommended to use an Ethernet cable connection. Check that you have a good connection and try to stay in areas with a strong signal. A good rule of thumb is that the stream will use about 10MB of data per one minute of stream. Make sure your battery is charged. You can estimate that 1% phone battery is used per one minute of stream. External battery packs can come in handy. Turn on your “do not disturb” setting so your live stream isn’t interrupted by a phone call. Make sure your screen rotation lock is off for live streaming in landscape mode.